I did some shopping with my aunt and uncle. They're in town for the week so it's nice to have them around. I decided to go with some basics today because it just felt right to do so. I pulled out a plain white tee and paired it with this sweater I thrifted from Goodwill not too long ago. 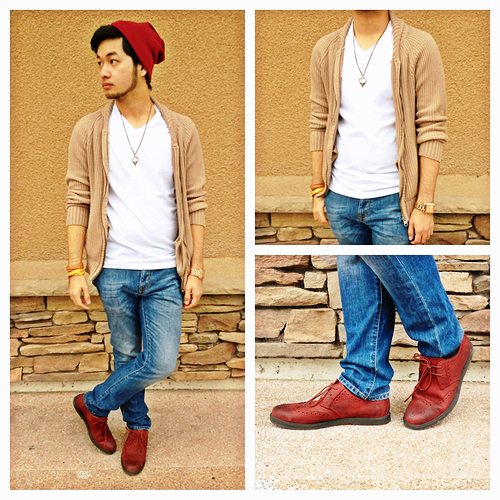 I added my maroon wingtips and beanie to add some character to this basic outfit.